The anticipation for Han Solo’s standalone movie has just been dialled to eleven. First up is L3-37, the self-made/modified droid found working alongside Lando Calrissian. 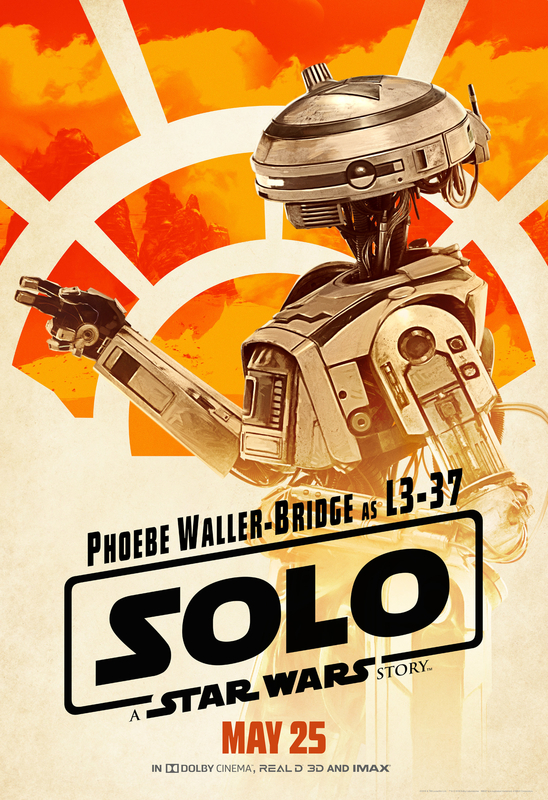 Played by Phoebe Waller-Bridge, L3 is the first major female droid in the Star Wars universe. 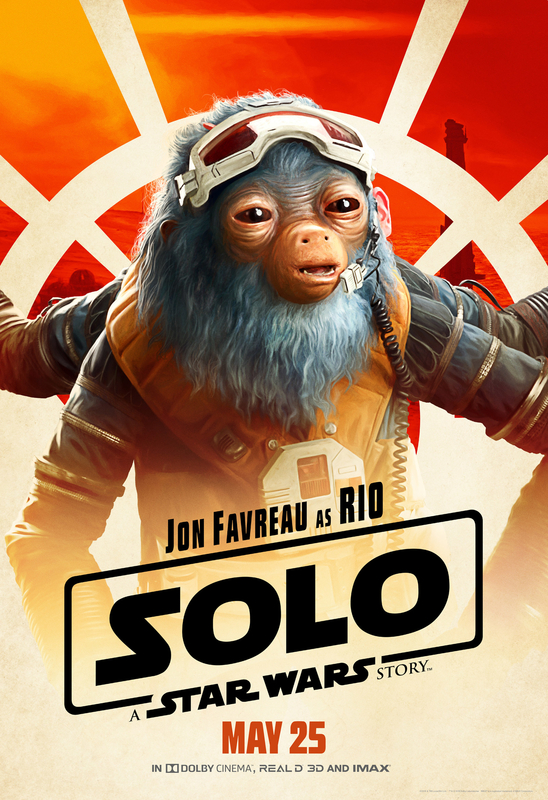 Next up is Rio Durant (Voiced by Jon Favreau). 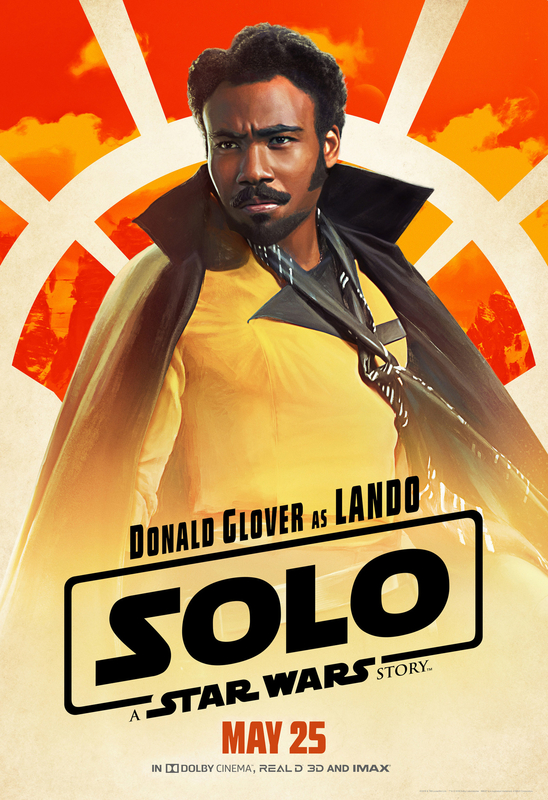 This awesome new addition to the Star Wars universe is as mysterious as he is exciting but is seen throughout the latest series of trailers and TV Spots demonstrating his superb piloting skills. 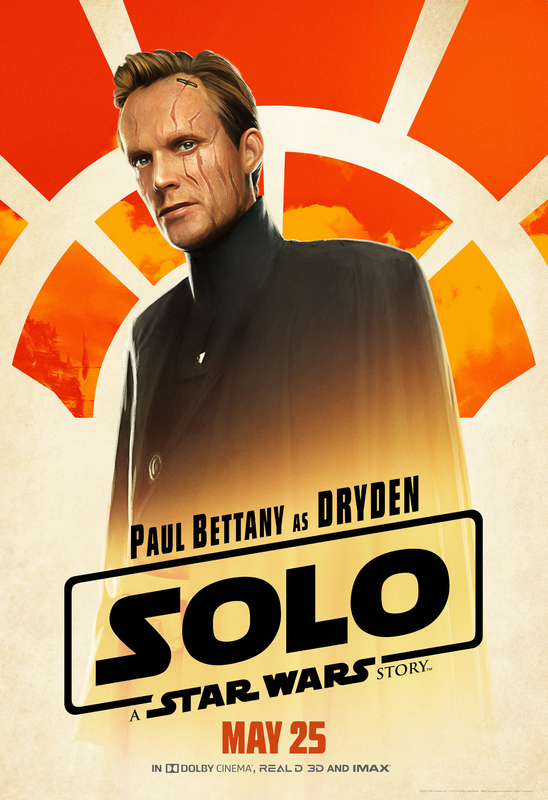 Now we meet Dryden Vos (Paul Bethany), the main villain in Solo: A Star Wars Story. Vos is a cold and calculated crime lord and feared leader of the infamous Crimson Dawn, one of the most feared cartels in the galaxy. 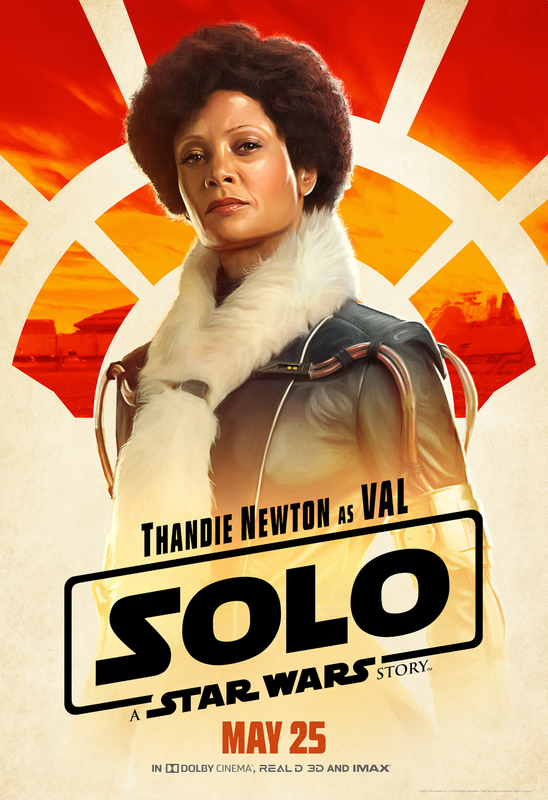 The first entry in our heroic rogue’s gallery is Val (Thandie Newton). Details about Val are scarce but that only intensifies the mystery surrounding this awesome new character. 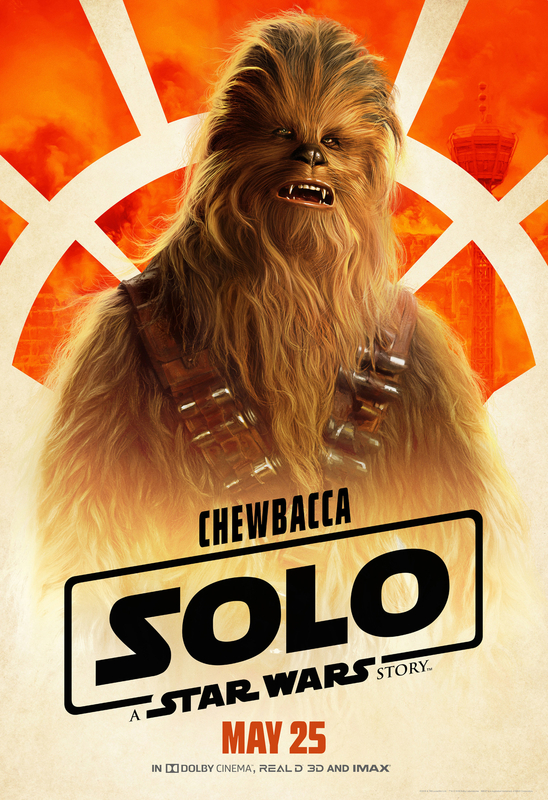 Tobias Beckett, Han Solo’s mentor and source of wisdom for our band of rogues is up next. 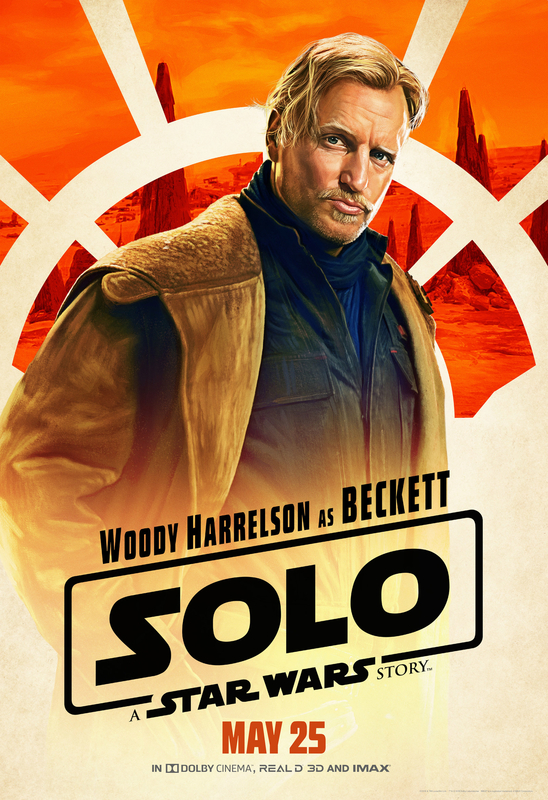 This poster only solidifies the claim that Woody Harrelson was made for the Star Wars universe and will be a great addition to the galaxy far, far away. The biggest smoothie in the galaxy is up next. Donald Glover steps into Billy Dee Williams’ shoes to play Lando Calrissian. The best dressed rogue in the Star Wars universe is destined to lose his beloved Millennium Falcon to the daring young Han Solo. 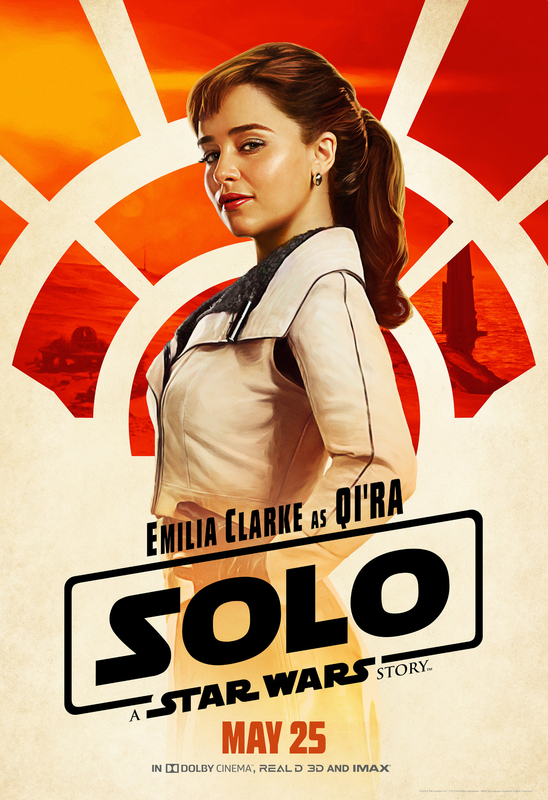 Qi’Ra (Emilia Clarke), Han Solo’s longtime friend and fellow rule-breaker, is redefining what it means to be a modern screen siren. And, finally, the best pilot in the galaxy takes his rightful place as leader of our rogue’s gallery. 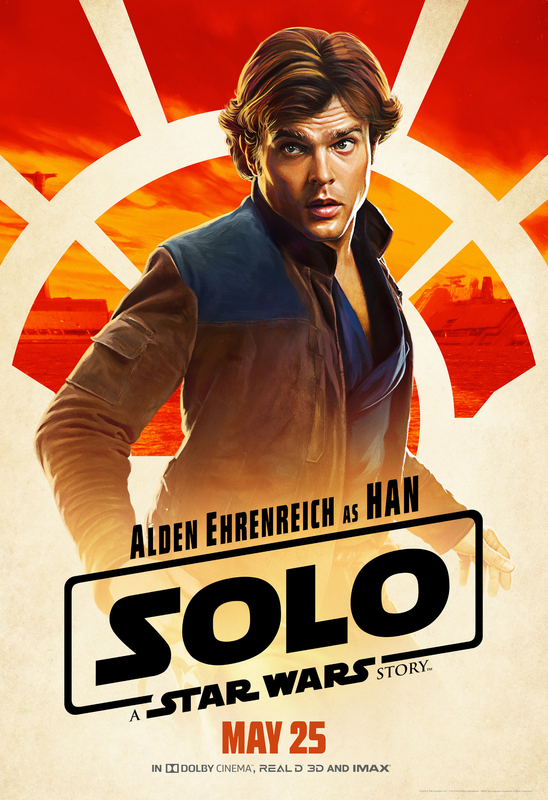 Han Solo, played by Alden Ehrenreich reinvents himself as the scruffiest-looking nerfherder in the Star Wars universe and takes on Lando Calrissian in a game of Sabacc with the reward being ownership of the Millennium Falcon.